We love a good list here at cottages4you, and we thought you might be interested in finding out which are currently the most popular cottages of 2014 too. Whether it’s a stunning interior, beautiful location or both, each of these properties offers something a little bit special. The list is based on early bookings for 2014, which means there’s still quite a lot of availability for next year, so if you fancy booking a break at one of them you still have a very good chance! What’s more you can currently reserve your 2014 cottage for our low deposit amount of only £25 and, at the time of posting, our prices are held at 2013 levels, so there’s no better time to book your holiday for next year. 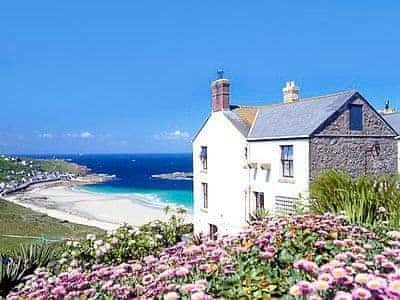 Only a 250-yard walk from the beautiful sandy beach of Whitesand Bay, this charming little row of three delightful and comfortably furnished holiday cottages commands magnificent views over the bay and Sennen Cove . On a quiet lane leading only to the cliffs, they have been very tastefully converted from a spacious Victorian house and are stunningly set in several acres of shared natural grounds; home to a wonderful variety of wildlife which can easily be seen from the steep beach path and the cottages themselves. Find out more. 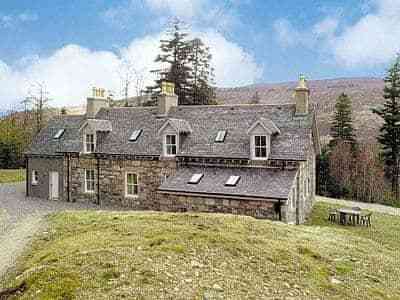 Mar House, Inverey, Braemar. Nestling in a secluded, wooded position overlooking the River Dee valley, this superior stone house has been totally renovated to offer the finest facilities and provide every comfort to ensure an enjoyable stay. All bedrooms have en-suite bathrooms and fine views, and the drawing room has an open fire making the property ideal for all year round holidays. Herds of red deer, stags and hinds, graze by the river during the evenings giving a feeling of tranquilility amidst the beautiful highland scenery. It is situated in area of Outstanding Natural Beauty, within the Cairgorm National Park and offers access to some of the best walking and climbing in Scotland. Find out more. In a wonderful location, this detached holiday cottage retains slate floors to the downstairs and ornamental fireplaces throughout, standing in its own large enclosed garden. Country views are enjoyed from all rooms. 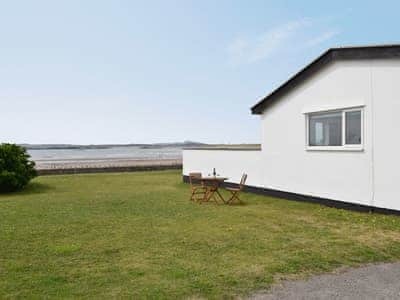 It is only 400 yards from the lovely sandy beach of Harlyn, ideal for bathing and surfing and 2 miles from the popular harbour town of Padstow where you can sample the famous Rick Stein restaurants and explore the many quaint shops, or take a ferry to the sailing and water sports resort of Rock. Shop and pub 1/3 mile. Find out more. 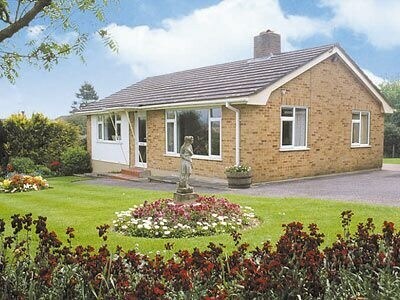 A pleasantly situated detached bungalow with a good sized lawned garden. It is comfortably furnished and centrally heated so it is suitable for holidays during any season of the year. The village is only 21/2 miles from Blandford, a popular little market town, and whichever way you travel there is lovely countryside to enjoy. The beautiful beaches at Poole are only 10 miles away and the New Forest just a little further. Excellent touring base with many places of interest. Find out more. 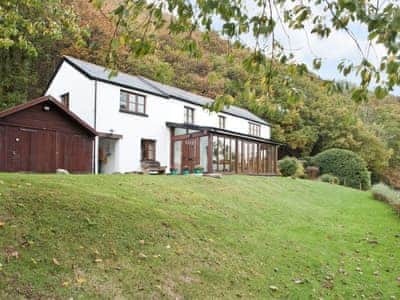 Occupying an idyllic, peaceful location beside the river at the head of the Teign Valley in the Dartmoor National Park, this south-facing holiday cottage enjoys beautiful views across meadowland. Formerly a forge and toll house, it has been carefully refurbished to an exceptionally high standard, with fly fishing (salmon and sea trout) and lovely walking, both on the doorstep. Exeter 7 miles. Coast 15 miles. Tennis and golf locally. Shop and pub ¾ mile. Find out more. 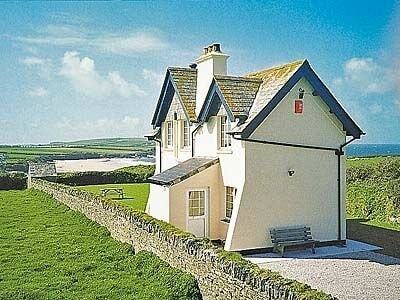 This spacious detached property enjoys direct access to Rhosneigr’s vast sands from its own secure garden. A popular venue for wind-surfers (with school nearby), the beach offers swimming, as well as canoeing and sand-yacht racing. Rhosneigr’s shops, pubs and restaurant are within walking distance, with riding, golf and sailing nearby. A sea zoo, nature reserves, historic castles and museums can all be found on Anglesey, whilst the Snowdonia National Park is within easy reach by car. Find out more. 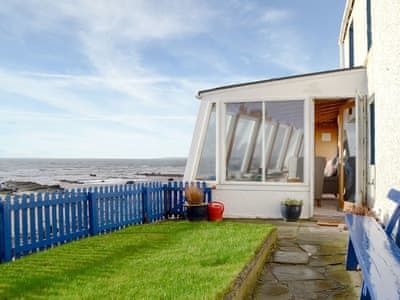 Enjoying a stunning position overlooking Largo Bay, this delightful cottage, only 12 miles from St Andrews, offers the perfect seaside holiday with swimming, beach walks and endless rock pools to investigate. Uninterrupted sea views from the living room. A multitude of excellent golf courses close by, along with a great range of children’s activities – Deer Park, Water World and the Secret Bunker. Historic houses and museums locally. Find out more. 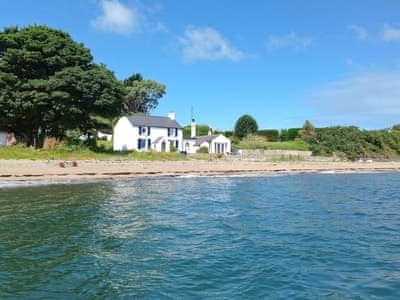 Blue Sails (ref JPV) is a traditional Welsh holiday cottage with its own garden enjoying a magnificent setting in an AONB, right on the seashore, with waves sometimes lapping against the patio walls, and glorious views of Puffin Island and Snowdonia. Spacious and comfortable living room with exposed beams and double French doors to patio with low wall overlooking the sea. Dining room with door to the garden and the beach. Find out more. Just a few minutes’ stroll from the sandy beach backed by Hunstanton’s famous striped cliffs and the start of almost 2½ miles of promenade to Heacham. Adjoining the owner’s home, this holiday bungalow is very comfortably furnished and well equipped. Hunstanton offers a Sea Life Centre, sports centre, various golf courses, bowling alley and theatre. Visit the seals and take other trips on the Wash Monster. RSPB nature reserves a few miles at Tichwell and Snettisham. Kings Lynn, 12 miles, for shopping, museums, etc. Burnham Market, 8 miles. Wells-next-the-Sea, 14 miles, Royal Sandringham Estate, 7 miles. Shops and pubs 700 yards. Find out more. This detached holiday bungalow has 23 yards of private quay heading frontage on the River Thurne, at Repps. Access to the property is by footpath only, and fishing is available directly outside the property. 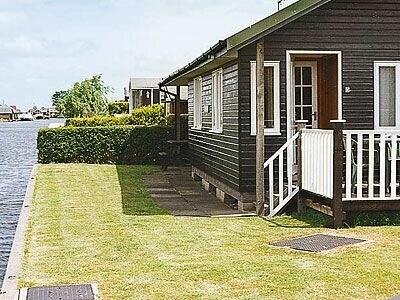 Potter Heigham, 1 mile, has facilities for day boat hire. Public leisure centre, with indoor swimming pool, at Fleggburgh, 4 miles. 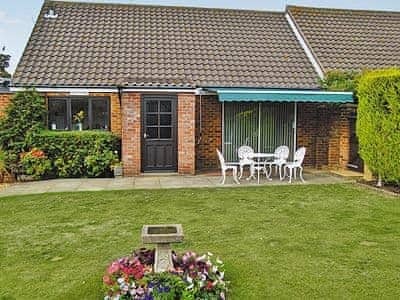 For a day out at the seaside, Great Yarmouth, 10 miles, where guests can explore the attractions of the broads and the coast from this Little Haven. Find out more.